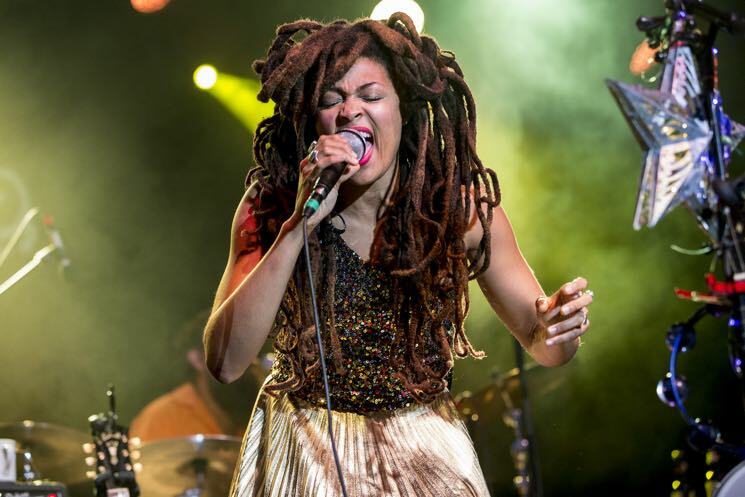 It didn't take festival attendees too long to fall head over heels for Tennessee talent Valerie June. After a light-hearted introduction, June got right down to business, flexing her vocal chops and showing within her first few songs that she was a force to be reckoned with. The twang in June's voice combined with a heavy Tennessee drawl add distinct characters to all of her songs, striking an emotional chord with her impassioned lyrics and delivery. Unique and impactful, June's vocals are undoubtedly the highlight of her act, though her backing band helped reflect some musical history with country, blues, gospel and soul influences — pulling together complimentary sounds that appeal to any musical palate. The small brass section especially delivered mighty musical presence, elevating the energy of the songs. It was nevertheless an intimate and sentimental performance, allowing audience members to fully immerse themselves in June's songs.